Carry The Black Cross's contacts! 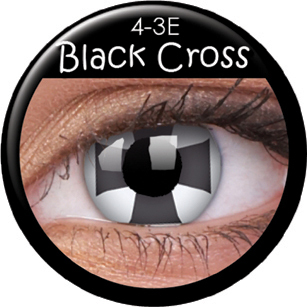 Bring your love of politics and history to your eyes, by wearing these black cross contact lenses. The black cross is the emblem for many movements in history, including the Anarchist Black Cross. The Anarchist Black Cross ("ABC") is an anarchist politics support organization. The group is notable for its efforts at providing prisoners with political literature, but it also organises material and legal support for class struggle prisoners worldwide. let your family and friends know with just a mere glance. With the Union flag right smack in your eyes.